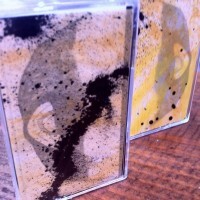 Available as a hand-painted cassette in a limited edition of 120, and/or as a digital download. Addleds explores timbral and textural extremes of distended instrumental technique via improvisation and open-ended compositional strategies. Their music tends towards a brutalist minimalism as informed by the noise underground as by recent developments in the field of free improvisation.